I purchased a membership through Amazon. How do I create a log in? I am a member of both the American Homebrewers Association and the Brewers Association. Do I use the same log in for both? What is my AHA Member Number? I’m moving. How do I updated my address? I no longer have access to my email account and forgot my login information. What should I do? Can I edit my email subscription preferences? I lost my AHA Membership card. Can I get a new one? I just joined! When will my AHA Membership card arrive in the mail? My old address appears on my receipt, but I’ve just updated my account online. Will my card be sent to my correct address? Do you have a digital card I can use? How do I automatically renew my membership? How to I cancel my auto renew membership? What are the terms for the Membership Auto Renew Program? Why didn’t I receive an auto renew reminder email? I just received a renewal notice in the mail, but my membership doesn’t expire for another 3 months. If I renew now, will I lose that time? How do I add a household member onto my existing AHA Membership? Will my household member get their own AHA Membership card? I just joined! When will I receive my first issue of Zymurgy magazine? I think my issue of Zymurgy magazine was lost in the mail. Does my AHA Membership guarantee me tickets to the Great American Beer Festival®? Will the household member on my membership be able to purchase tickets during the Members-Only Pre-Sale? How do I ensure I will receive my code for the Members-Only Pre-Sale? I received a prepaid AHA Membership gift card. How do I activate it? I received a prepaid AHA Membership gift card, but I’m already a member. Can I apply the prepaid gift card to my current AHA Membership or do I have to a create a new membership? I’ve tried to activate my gift card, but I keep getting an “invalid code” error. I’m hosting a homebrew competition and want to request donations and/or sponsorship for the event from the AHA. Who do I contact? What steps do I need to take before requesting donations/sponsorship? Where do I find more information about the BJCP and running a competition? My donation package hasn’t arrived and our competition is coming up in a few weeks. What should I do? Q: I purchased a membership through Amazon. How do I create a log in? A: To log into your account, you must have a current email address on file. To add yours, email Member Services with your full name and the email address you wish to add. A: As the content for each site is different, you must be a Brewers Association (BA) member to log into BrewersAssociation.org. Learn more about the BA Membership Costs and Benefits. Q: I am a member of both the American Homebrewers Association and the Brewers Association. Do I use the same log in for both? A: No. American Homebrewers Association (AHA) and Brewers Association (BA) memberships are separate, so you’ll use separate log in credentials for both the AHA and BA websites. To avoid duplicate account issues, it’s best to use a different email for each (for example, a work email for BA and personal email for AHA). Contact Member Services if you are experiencing issues. Q: I’m moving. How do I updated my address? A: Log into your account and click “My Account” at the top left of any HomebrewersAssociation.org page to update your mailing address, email address, or log-in password. Q: I no longer have access to my email account and forgot my login information. What should I do? A: Don’t worry! Email Member Services your new email address. They’ll update your information and reset your password for you. Q: Can I edit my email subscription preferences? A: You sure can! You can edit your email subscription preferences here. Q: What’s my AHA Member number? A: You’ll find that 9-digit AHA member number on a) the label of your current issue of Zymurgy, b) your AHA member card and c) by logging into the HomebrewersAssociation.org and clicking “My Account” at the top of any HomebrewersAssociation.org page. Q: I lost my AHA Membership card. Can I get a new one? A: Sure thing! Send an email to info@brewersassociation.org with your full name and mailing address to request a replacement card. Q: I just joined/renewed! When will my AHA Membership card arrive in the mail? A: Member Cards can take up to three weeks to print and ship. If 3 weeks have passed, email Member Services to check on the status of your card. 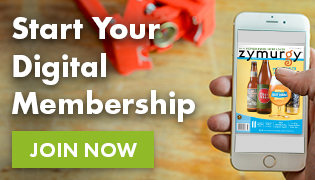 You can also download the Brew Guru app and access a digital version of your membership card. Q: My old address appears on my receipt, but I’ve just updated my account online. Will my card be sent to my correct address? A: Yes! Your card will be sent to your updated address. Still worried? Contact Member Services and they’ll confirm for you. Q: Do you have a digital card I can use? A: Heck yes! Check out our new app Brew Guru for access to a digital version of your AHA Member Card along with brewing knowledge, money saving deals, and local info on breweries, beer bars and homebrew supply shops. Login with your existing HomebrewersAssociation.org username and password. W: How do I save and automatically renew my membership? A: Lock in early renewal savings by opting-in to the annual automatic renewal program. You may cancel at any time. Q: How to I cancel my auto renew membership? A: Log in to your account management profile and select CANCEL. Your membership will not be automatically renewed and you will receive an email confirmation. Q: What are the terms for the membership Auto Renew Program? A: Your membership will automatically renew at the early renewal rate then in effect at the end of each term until you cancel. You will receive a renewal notice by email before your membership is renewed and your account is charged. You authorize us to charge your credit/debit card at the discounted rate on the renewal notice unless you cancel. If your credit/debit card cannot be charged for any reason, we will notify you multiple times via email. If we are unable to collect payment, your automatic renewal will be canceled. Unless payment is received prior to your membership expiration date, your membership will be cancelled on the expiration date. You may cancel at any time by visiting your account management profile. Please print or save a copy of these terms for your records. Q: Why didn’t I receive an auto renew reminder email? A: Participants in the Membership Automatic Renewal Program receive a reminder email two weeks prior to renewal and on transaction day. You may not have received this email if you’ve opted out. If you have unsubscribed in the past, you can resubscribe to only receive Auto Renew emails. Q: I just received a renewal notice in the mail, but my membership doesn’t expire for another 3 months. If I renew now, will I lose that time? A: No way! If you renew today, your renewal won’t kick in until the month after your current expiration. For example, if you expire on 6/31/18, but renewed your membership on 2/31/18, your new expiration date would be 6/30/19. A: We don’t, but consider joining as a 2-year, 3-year, or even Lifetime Member to save some dough! Q: How do I add a household member onto my existing AHA Membership? A: Add household member(s) to your account at any time! It’s $29 per person (up to three) for one, two, and three year memberships. If you’re a lifetime member, the cost is $200 per household member. Q: Will a household member get their own AHA Membership card? A: Yes. The only difference between an Household Member and a Main Member is that one copy of Zymurgy magazine will be mailed to your address. Your household member will receive their own membership card to redeem member benefits. They can also create an unique login for HomebrewersAssociation.org. Q: I just joined! When will I receive my first issue of Zymurgy magazine? A: Check out the Zymurgy magazine mailing schedule to find out when your first issue will arrive. Can’t wait? You can browse past issues by logging in and accessing eZymurgy or the Zymurgy mobile apps. Q: I think my issue of Zymurgy magazine was lost in the mail. A: Sorry to hear that! Let Member Services know, and they’ll look into getting you a replacement copy. Be sure to include your current mailing address in the email. Contact Member Services. Q: Does my AHA Membership guarantee me tickets to the Great American Beer Festival®? A: Due to the size of our Membership base, we are unable to guarantee tickets to Great American Beer Festival®(GABF). However, you do have the opportunity to purchase tickets during our Members Only Pre-Sale. Q: Will the household member on my membership be able to purchase tickets during the Members-Only Presale? A: Yes. Each AHA Member and Household Member will have the opportunity to purchase GABF tickets during the Members Only Presale. Q: How do I ensure I will receive my code for the Members-Only Pre-Sale? A: Click here to make sure you’re opted into GABF-related emails. Q: I received a prepaid AHA Membership gift card. How do I activate it? A: Congrats, and welcome! Visit the Gift Card Activation page and get started. Q: I received a prepaid AHA Membership gift card, but I’m already a member. Can I apply the prepaid gift card to my current AHA Membership or do I have to a create a new membership? A: Yes, you’ll be able to apply the gift card to your current Membership. Once you’ve logged in, you’ll enter the activation code on the payment page. Q: I’ve tried to activate my gift card, but I keep getting an “invalid code” error. A: Be sure to read the activation code closely. Sometimes a character such as ‘l’ can be mistaken for an ‘i’. Still not working? Contact Member Services and they’ll be happy to investigate further. Q: I’m hosting a homebrew competition and want to request donations and/or sponsorship for the event from the AHA. Who do I contact? A: Great! First, make sure your competition is registered with the Beer Judge Certification Program (BJCP). Once you do that, fill out our Homebrew Competition Donation Request form. We’ll then confirm the request with you within one week of submission. Q: What steps do I need to take before requesting donations/sponsorship? A: Make sure your competition is a Beer Judge Certification Program (BJCP) sanctioned competition. Register your competition with the BJCP. Due to the high volume of requests, we can only sponsor sanctioned competitions. Q: Where do I find more information about the BJCP and running a competition? A: The BJCP has a Competition Handbook that explains everything you’ll need to know about running a homebrew competition. Q: My donation package hasn’t arrived and our competition is coming up in a few weeks. What should I do? A: Contact Megan, our AHA Administrative Assistant, about your situation and we’ll make sure we get you your donation package!